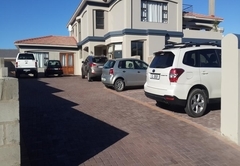 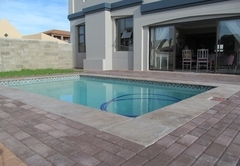 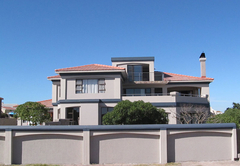 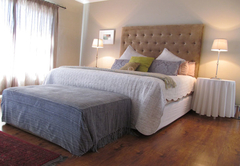 Alabaster Box B&B is a 4 star graded B&B offering Langebaan accommodation in 7 guest rooms. 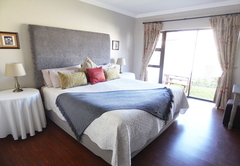 Alabaster Box is a Luxury Guesthouse situated in the beautiful West Coast town of Langebaan only five minutes drive from white sandy beaches and the entrance gate to the National Park. 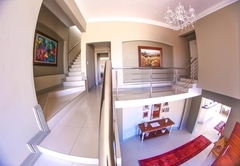 A ten minute drive takes you to Club Mykonos Casino. 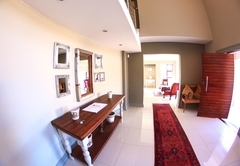 Offering six stylish rooms with double beds, all rooms are en-suite and have DStv, free Wi-Fi, a fridge with cold drinks and complimentary coffee and tea facilities. 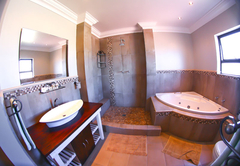 King sized bed with an en-suite bathroom that consists of a shower, jacuzzi jet spa corner bath with basin and toilet. 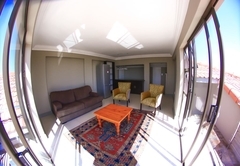 Has a TV with DStv, free Wi-Fi, hot beverages and a bar fridge with cold beverages. 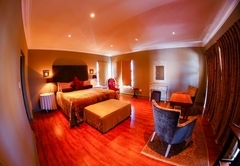 King sized bed with an en-suite bathroom that consists of a shower, basin and toilet. 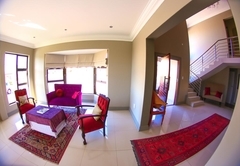 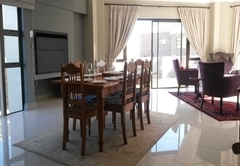 There is also a balcony, TV with DStv, free Wi-Fi, hot beverages and a bar fridge with cold beverages. 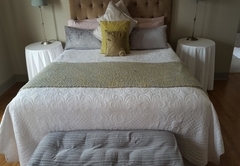 Queen sized bed with an en-suite bathroom that has a shower only. 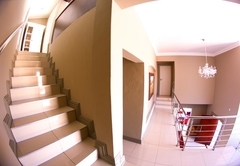 There is a balcony, free Wi-Fi, DStv, a bar fridge with cold refreshments and hot beverages. 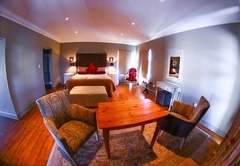 King sized bed with an en-suite bathroom that has a shower and a corner bath. 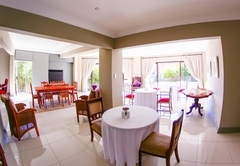 There is access to the garden, DStv, Wi-Fi, a bar fridge with cold refreshments and hot beverages. 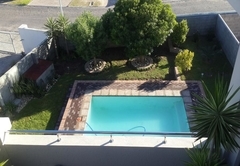 King sized bed with an en-suite bathroom that consist of a shower only, The room has access to a private garden, DStv, free Wi-Fi, bar fridge with cold refreshments and hot beverages. 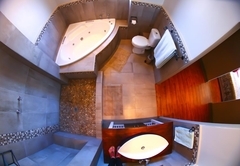 Luxury room with small kitchenette. 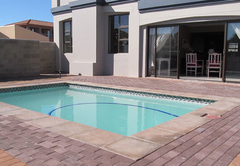 We have a big kitchen and braai room that is available to all guests as well as an outdoor swimming pool and beautiful garden. 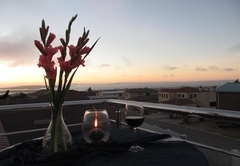 Our top story has a cosy lounge that has breath taking views over Langebaan and the Lagoon which sets the scene for sundowners. 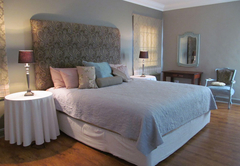 Response timeAlabaster Box B&B typically responds to requests in 5-10 minutes.